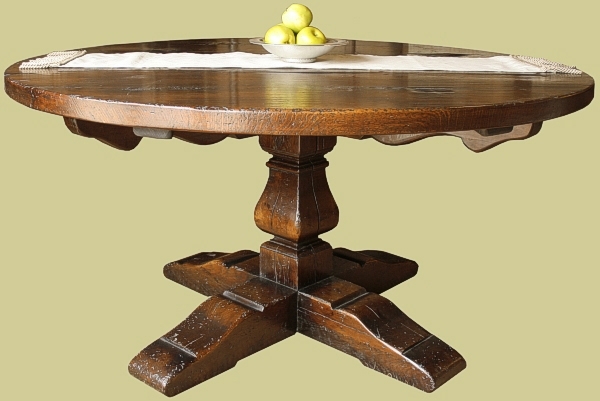 This photo shows our Chalvington round oak table, with centre shaped square pedestal and cruciform feet, but in a lighter form. We scaled down the dimensions slightly to suit our clients brief. 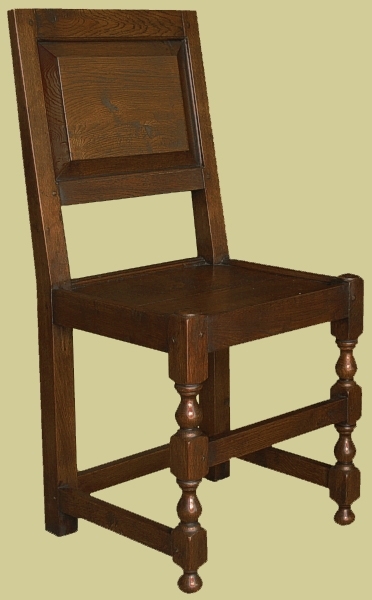 The chairs were also custom made for our client, based on our upholstered 17th century style 'farthingale' dining chairs, but with a solid fielded panel back and inset seat panel. We have also raised the front stretcher to a midway point so that it can be slid over the table cruciform feet when there are more than 4 sitters. Our client is having loose cushions made up for the chairs. 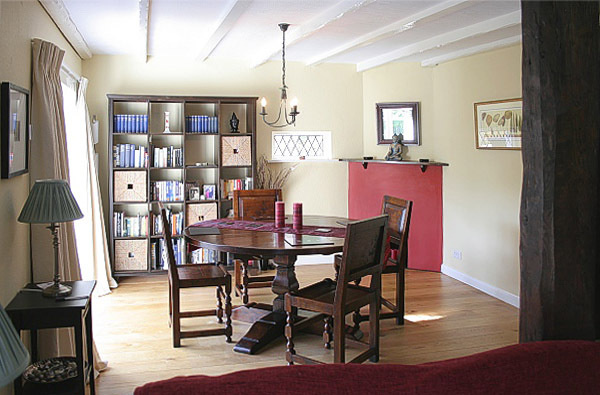 Photographed in their Sussex cottage.